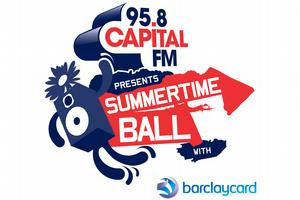 "The Biggest Balls In London"
It was almost like the clocks had been turned back a decade this morning as I listened to Capital FM at 8am to hear the first artists being announced for their big summer music show. OK – so it’s not 'Party in the Park', probably for 2 reasons. First, the name is too associated with a cheesier image of a bygone Capital that they’re not keen to revisit. And second... it’s not in a park! So Arsenal’s Emirates Stadium will be the setting for the ‘Summertime Ball’ which name wise, is consistent with their Christmas themed ‘Jingle Bell Ball’. The artist line-up announced today looks really good so far; right in the centre of the CHR sound that Capital is all about. Leona Lewis, Akon, Kelly Clarkson, Calvin Harris and The Saturdays are the first of what will no doubt be a great show, with “many more to be announced”... so they told us this morning! The sequence after 8am today was done really well... mainly because it was pre-recorded to ensure Johnny stayed on message!! (It sounded a bit too pre-recorded for my linking, but hey... it was tight, so who’s complaining!) And they’d teased it hard all weekend long, so they couldn’t really afford to screw it up. The price of tickets was conspicuous by its absence on-air (unless it was really hidden away and I missed it). I checked to see how much they were... and £45 for the cheapest seemed a little steep for me, and I daresay it’s quite a big chunk of money for younger target listeners aged 18-29, particularly when everyone’s watching their pennies. If you and your 3 mates wanted to go... that’s £180 to raise between the 4 of you! However I guess that’s the going rate these days. (The more expensive tickets are £70 by the way). At least “Help A London Child”, the very worthwhile Capital ‘in house’ charity gets some of the proceeds, with £100,000 pledged. 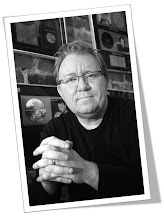 However, these size concerts are rarely a profit generating exercise, as the cost of putting them on is enormous. (Although the sponsorship from Barclaycard will no doubt be worth a few quid!) Capital will probably view it as a nice big marketing exercise... and that’s the line of budget it will fall under in the big spreadsheet! The gig’s on Sunday June 7th... so be warned Capital listeners... you’ll hear of little else until then!! But it looks really good so far... and nice to see a radio station do something BIG at a time when everyone in UK radio is talking about cutbacks. I love when something that happens on the radio makes the news. 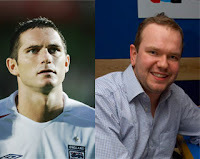 And last week’s incident where Frank Lampard called London talk station LBC to have a go at presenter James O’ Brien, showed the radio’s still a medium that can generate headlines. I’m sure if Frank Lampard had written a letter to a newspaper, or commented on a website about the topic, that it wouldn’t have garnered so much attention. The fact is, he picked up the phone and dialled a radio show to vent his anger. The audio is really powerful. You can listen to the whole thing here. Frank makes a really good point where he acknowledges that radio ‘phone in show’ hosts deliberately say something controversial in order to get people to phone in to argue their alternative viewpoint, which is very true. They do. James O’ Brien effectively described Frank as “weak” and “scum” due to the situation regarding his breakup and his kids, which, on the anniversary of Frank Lampard’s mother’s death, obviously tipped Frank over the edge and caused him to call up LBC. Now, regardless of the rights and wrongs of the case (and I guess no-one really knows what happens inside someone else’s relationship) the LBC audio certainly made me think twice about the power a radio presenter has, and how within that power, there lies a responsibility particularly towards commenting on the very personal lives of celebrities. Was James O' Brien putting across a legitimate topic for discussion or merely adding to the tabloid feeding frenzy around showbiz stories, which inevitably leads to less than accurate reporting. As good as the TV presentation and commentary was, I thought I’d check to see if it was being streamed anywhere on UK radio. Sometimes the matches are... sometimes they block them to international listeners, due to licence restrictions. However BBC London were streaming. So I listened, and although the web stream commentary was about 20-30 seconds behind the pictures on my TV, it was nice to hear the analysis. The commentary on BBC London however wasn’t particularly good as radio commentaries go. (And I’ve listened to a fair few in my time). But beggars can’t be choosers I thought. Then it went to half time, and the commentator made a pointless and smug remark about the whole of the second half being live on BBC London 94.9 and went on to say, and I quote... “Crackle, commercial and claptrap free...”, an obvious reference to national commercial station broadcasting on AM, TalkSport. Now I didn’t know that TalkSport were running live commentary of the match. (In fact, I didn’t really think of TalkSport, so maybe that’s a marketing issue for them) But due to a petty and cheap remark from the BBC guy Phil Parry, I was alerted to another way of listening to the match... tuned in... and enjoyed the commentary of Jim Proudfoot and entertaining analysis of Danny Kelly of TalkSport much more. I know knocking the competition can be a bit of fun and there are lots of historical and current examples of it, but is it just an ‘in’ joke that only makes radio types chuckle? It can backfire and it did on this occasion, as BBC London lost about 1 hour of listening time from me, by directly alerting me to another station to listen to. Plus it annoyed me that BBC London felt they needed to have a swipe at a commercial competitor? For what reason was it really necessary? So... PD’s and Producers... before you write all your witty liners highlighting your competitors alleged weak spots.... just think twice!! PS – Even though we lost, it has to be was one of the best games of football I've ever seen... ever... in the world... ever!